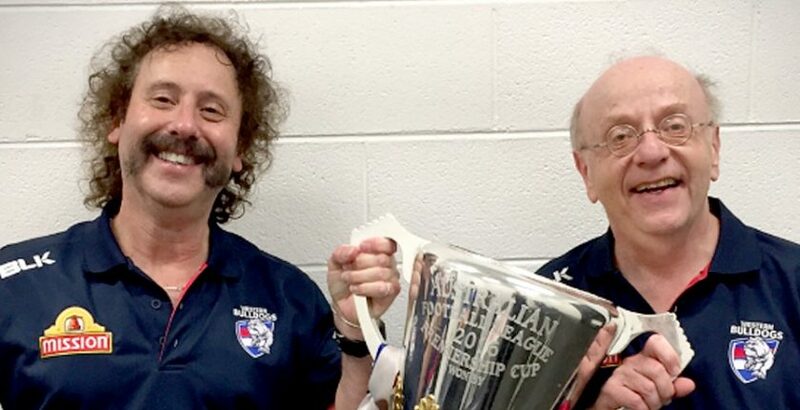 Working at Western Bulldogs for the last twenty years, Sports physician Dr Gary Zimmerman and Dr Jake Landsberger participated in their first AFL wining Grand final as club Doctors last Saturday. Pictured here, they share their dream-come-true smiles, holding the famous AFL Premiership cup. Dr Gary Zimmerman has been partner in the Epworth Sports and Exercise Medicine Group since its opening in 2008. One of his colleagues in the group is Dr Ruben Branson, medical doctor for the Sydney Swans when they played in Melbourne.